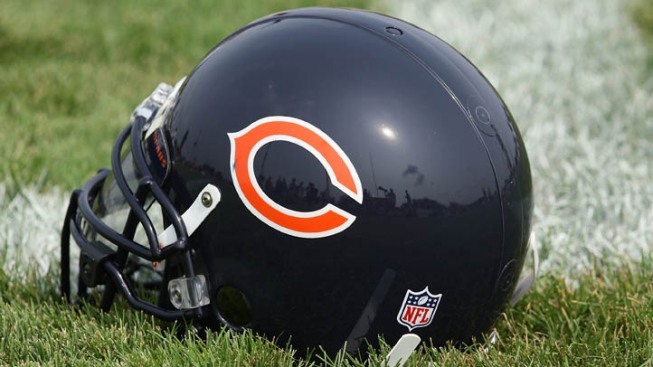 The Chicago Bears are taking advantage of a weekend away from Bourbonnais and the rigors of training camp over the next two days, but with only two practices remaining until their preseason opener against the Miami Dolphins, we’re taking stock of where the team stands. To get things started, we’re taking a look at five things we’ve learned about the team’s defense. To that end, the Bears brought in players like Pernell McPhee (who has looked really good in camp as he thrives in his role on the outside), and they also shifted players like Jared Allen, Lamarr Houston and Willie Young from their more natural defensive end positions. Despite those changes, those players have all had success so far in Bourbonnais. Allen looks rested and ready to go, displaying the speed and quickness that he was lacking last season. Houston looks to be recovered from the ACL injury that ended his 2014 season. Even Young looks tremendous when he’s been working with the team, getting increased playing time with each passing practice. Even with all of those success stories on the outside (and we haven’t even touched on guys like David Bass and Cornelius Washington, who have both looked excellent as well), there are still a ton of questions to answer up the middle. Shea McClellin has been given increased responsibilities at the inside spot, but players like Jon Bostic have struggled in the new defensive system. The Bears will have to hope that guys like Mason Foster and Christian Jones can provide some good play at the position, or else all of the exploits of the outside linebackers will be for naught. When Ferguson was drafted in the second round of the 2014 draft, he was projected to play as a defensive tackle in a 4-3 defense for the Bears. With Fangio and John Fox’s arrival in Chicago however, Ferguson has been forced to the outside, but the move has come with some surprising results. Showing great agility and excellent burst off the snap, Ferguson has looked really good in team drills, and he certainly fits the mold of a Fangio defensive end. He’s big and strong, but he also shows an ability to contain the run off the edge. If he can add the pass rushing component to his arsenal, he could be a dangerous player for the Bears. If there is one player to point to as the embodiment of the Phil Emery regime’s failures, it’s McClellin. Drafted in the first round, McClellin was a 3-4 linebacker in college, but the Bears had him playing in a 4-3 defense and he never took to either the linebacker or defensive end positions. Once blocked he would be swallowed up, and his pass coverage skills were called into question time and again as his positioning was woefully inadequate. So far in training camp, a surprising development has taken place. McClellin looks a lot more comfortable in the 3-4 defense that Fangio is running, making signal calls and filling gaps properly on run plays. His pass coverage has looked better as well, with surer foot speed and an ability to get into passing lanes both on display during practices. The big test for McClellin will come when the Bears are actually playing opposing teams. Will McClellin’s gap responsibilities continue to be met? Will he be able to shed blocks to make tackles? Will he be able to read opposing offenses and continue to play solid pass defense? All of these questions need to be answered before we can fully buy into McClellin as a piece for this team moving forward. Speaking of questions that need answering, the Bears’ secondary still has plenty to answer for as they look to recover from a disastrous 2014 campaign. Kyle Fuller started out the season with a bang, but as things wore on he began to tire and lose his effectiveness, and teams picked on him routinely for big plays and big gains. Tim Jennings also struggled to find his form for the Bears, and a planned move to the inside never took full effect as he had to replace Charles Tillman at the outside corner position. Those players both need to step up their games, but the Bears also have to figure out which players will occupy other positions on the field. Can Brock Vereen be trusted to play as a starting safety? Will Antrel Rolle’s deficiencies in the run game cause issues for the Bears? Will Alan Ball or Tracy Porter be able to nail down starting jobs? All of these questions show just how deep the Bears’ personnel problems have run in the past few seasons, and it will be interesting to see how everything shakes out when the team takes the field for the first time Thursday. We’ve already mentioned McClellin as a player looking to make the most of his last chance with the Bears, but other players are also worth keeping an eye on as the team restructures the defense. Headlining that list are a couple of high draft picks, with Will Sutton (third round pick in 2014) and Jon Bostic (second round pick in 2013) both needing good camp performances to make the 53-man roster. Sutton is suddenly a man without a position in Fangio’s 3-4 defense, as he doesn’t really profile as a nose tackle in the system and seems like an unlikely candidate to play effectively as a defensive end either. As for Bostic, he continues to show flashes of brilliance in the middle of the field as a linebacker, but there are still too many mental mistakes and miscues occurring to conclusively say that he will be on the team come opening day. He has definitely got to perform well in preseason games, or else he could be looking for a job with another team.